Often, we need to free up the disk space on our Apple computers. When we realize there is no space to download another exciting app or the latest version of the favorite game, it turns out a real nightmare. Unless the user knows how to clean up Mac manually or with the help of special utility, it is impossible to wake up from this bad dream. It seems like there are no reasons to uninstall AVG Cleaner from your device: the tool cleans up the hard drive space and might even give a slight performance boost. It is a rather popular and trustworthy third-party app for Mac users. However, there are times when a user may decide to get rid of the AVG Cleaner. The reasons for this may vary – dissatisfaction with the app’s functionality, conflicts with other applications, the need to wipe the computer before selling it, etc. Anyway, it is not enough to just drag AVG icon to the Thrash. Once the application is installed, it creates files in more than one location. Related files can be preferences and support data. Even after the user removes the tool from the Application folder, these remnant files stay on the hard drive, so it requires an extra effort to eliminate the app completely. You may leave those files in case you do not exclude installing the utility once again. Otherwise, you should know how to delete all files associated with AVG Cleaner. This article describes two ways to fully get rid of AVG Cleaner: manual and with the help of specialized utilities. 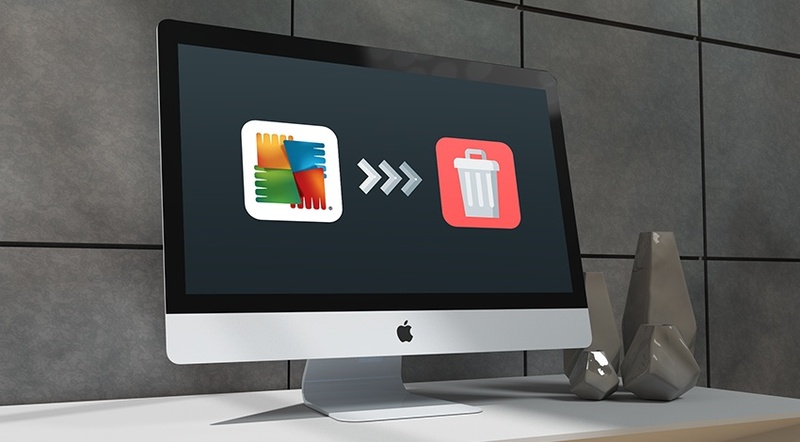 So, are you ready to learn how to uninstall AVG on Mac? The first method to remove AVG Cleaner from your Mac is to manually eliminate the app and all its components from the machine. Below, you will find a detailed instruction how to do that accurately and prevent any errors that might lead to the failed uninstallation. 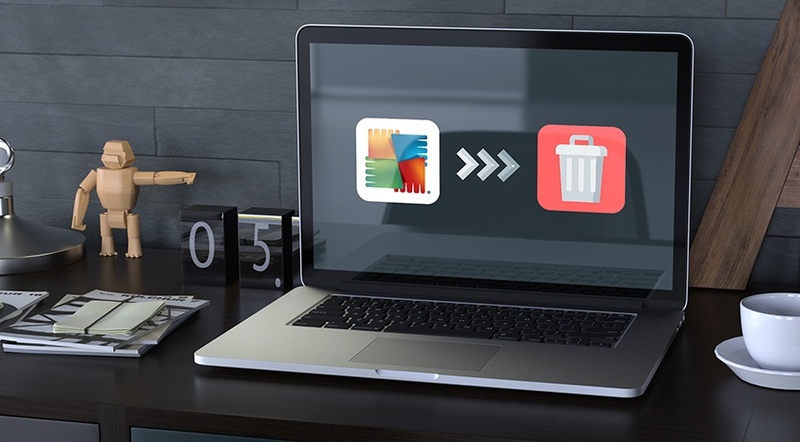 The removal process starts just partially when you drag-and-drop the selected application to the Trash Bin. If you wish to get rid of all files associated with AVG Cleaner along with the app itself, here is what you should do. There are many processes running in the background related to different apps. AVG Cleaner is not an exception: it activates many processes that you cannot see with the naked eye. To deal with them, you’d better use Activity Monitor. Select Cmd +Opt + Esc and find AVG Cleaner in the pop-up window. Press the Force Quit to terminate processes that you can for 100% associate with the cleaner via the “Quit Processes” option. “Force Quit” is another option in case a regular quitting function does not work, but it is better to avoid this last resort. If you are a computer’s admin, go directly to the Applications folder with the help of Finder. Start typing “AVG…” to find the app and move it to the Trash. Another way is to place the app’s icon into the trash with the help of keyboard shortcut Cmd + Del. Take care of all lingering files, logs, caches, and other related contents that remain on your Mac. Launch a Spotlight to detect the relevant names through typing in “AVG.” Most likely, you will discover remnant files in the Preferences Folder. It’s in your user’s library folder (~/Library/Preferences). Also, pay close attention to the support files in “~/Library/Application Support/” or “/Library/Application Support/.” Launch Finder and move to the Menu Bar. Open the “Go” menu. Pick the entry:|Go to Folder… and type the path of the Application Support folder. Finally, visit ~/Library/Caches/ folder and delete AVG-related entries one by one by throwing them into the Trash. 4. Now, Empty Your Trash! Do you wish to get rid of the file constantly? Emptying the Trash is just half the battle unless you have taken other steps mentioned above. Once you’re done, right click on the Trash in the Dock and select “Empty Trash.” Remember there is no way to undo this step, so watch out! Apply Put Back to the files you don’t wish to delete. Reboot your Mac (recommended when you completely uninstall specific software). If all this seems like some technical abracadabra to you, move to the next section to spot the easier way to deal with AVG uninstallation. Go to the built-in uninstallation utility tab. Select AVG Cleaner from the list of the apps installed on your Mac. Press Uninstall/Remove button to erase the software and all remnant files. No matter if you are a beginner or advanced user, there is always a way to fully delete AVG Cleaner. Manual method may look a bit time-consuming and confusing. If you feel that you lack some skills, rely on the third-party removal tools, which will do the whole job for you. They usually have a simple, user-friendly interface so that anyone can operate them without any special training. Is AVG Cleaner for Mac Any Good to Free up Your Disk Space?